People always assume it is a good idea to put property or bank accounts in joint names with their spouses. They buy a house where they will live, and they put it in joint tenancy. They open a bank account so they can pay their bills, and they put it in joint names. Often, people don’t consider the effect of putting things in joint names on their rights and obligations but they should. In British Columbia, the Family Law Act provides that on separation from your spouse you get to keep your excluded property (for example, anything your brought into the relationship) and you must divide family property, including any increase in excluded property. It is possible for once-excluded property to become family property. A common example is when you gift the excluded property to your spouse. A common way of gifting property to your spouse is by putting it in joint names, a decision many people take very lightly and don’t consider fully before doing it. The test for determining whether excluded property is still excluded is what your intention with that property was. If you intended to give the full beneficial interest in the property to your spouse, then you likely lost your exclusion and the once-excluded property is now family property and subject to division. If you did not intend to give the full beneficial interest in the property to your spouse, but you did it for some other reason, then you likely did not lose your exclusion and the property remains excluded and not subject to division. In those situations, the case law is pretty clear and in VJF v. SKW, 2016 BCCA 186, the BC Court of Appeal confirmed it. In that case, the husband received an approximate $2,000,000 gift from his boss which was excluded. With the money, he purchased a home and put the home 100% in his wife’s name. The husband’s intention in doing so was to avoid creditors and he gave evidence to that effect. The court found that in order to avoid potential creditors, he would have had to intend to give the full beneficial interest to his wife, otherwise his potential creditor avoidance would not be effective. Because the husband intended to give the full beneficial interest to his wife, the court found that the exclusion over the gift was lost and rather it was family property to be divided equally between the parties. That decision was upheld by the court of appeal. Commonly, however, placing property in joint names is not a well-thought out decision. For example, you go into a bank with your husband or wife and the teller says “why don’t you add his/her name to your account”. You think that’s a swell idea because if you can’t make it to the bank to pay the bills, you want your spouse to be able to do it. You don’t turn your mind to whether you want them to own the money in the account outright, or be entitled to the money in the account. You don’t consider whether you want to gift it to them. Another common example is where Spouse A owns property before the relationship and Spouse B doesn’t. After they get married, Spouse A adds Spouse B’s name to the title of the property. They are now joint tenants. 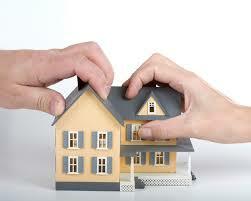 If Spouse A intended to give full beneficial interest in the property to Spouse B, then it is a gift. It is also possible for Spouse A to not intend a gift, and in those cases Spouse B holds the property on a resulting trust for Spouse A. But often Spouse A’s intention is not clear. When deciding whether there was gift or whether the property is held in trust the only thing the court cares about is the intention of the transferor at the time of the transfer. It does not matter what the intention is now, the key is at the time of the transfer. As noted, many times the evidence is unclear or non-existent about what the tranferor intended at the time of the transfer. In those cases, the common law provides that the court must presume that a gift was intended (in the case of spouses) or that a gift was not intended ( in the case of legal strangers). The presumptions apply only when the court is unable to make a decision based on the available evidence about the intention of the transferor. The presumptions allow the court to make a decision about the intention of the transferor. The presumption of resulting trust comes into play when the parties are legal strangers, meaning they don’t owe a duty to each other. The presumption of resulting trust applies in cases of gifts from a parent to an adult child or from a friend to another friend. The presumption of advancement comes into play when a transferor gives property to another person to whom they owe a duty. For example, if a parent gives property to a minor child or a husband gives property to his wife. Although to date there is no case law directly on point, it is likely the presumption of advancement would apply to any spouse giving property to another spouse, irrespective of their gender or whether they were married. In a recent case heard in Kelowna, BC by Mr. Justice Armstrong incorrectly stated at paragraph 59 that “No presumption of advancement arises when one spouse’s investment is put into a property that is jointly owned by that person.” He then goes on at paragraph 61 to infer an intention based on circumstantial evidence. With all due respect to Justice Armstrong, that case is incorrect. The situation where there is no evidence is the exact situation in which the presumption of advancement would apply. … and the effect of Mr. Holland’s transfer of the property into joint names on marriage was not addressed: See VJF v. SKW, 2016 BCCA 186. Thus, while the ultimate division was fair, it does not stand for any proposition in relation to the property application of the excluded property provisions. Therefore in the case of Spouse A and B (above), if Spouse A owns property before the relationship began, and puts it in joint names with Spouse B, and (this is the key) there is no or inadequate evidence about Spouse A’s intention respecting the transfer, the court will presume that an advancement was intended and 50% of the property will become the parties’ family property to be divided. As a result, pursuant to an equal division of property under the FLA, Spouse A will walk away with 75% of the property and Spouse B will get 25%. To have your case reviewed, and for a free case evaluation, please contact us.